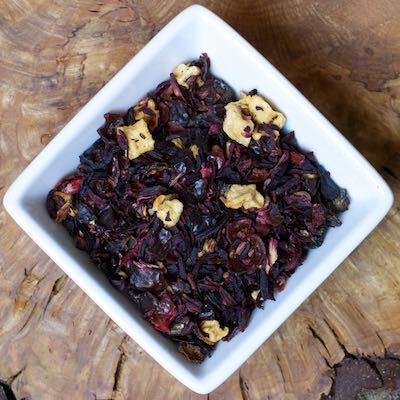 A delicious blend of all natural fruits, emanating from apple pieces, hibiscus flowers, cranberries and raspberries. Great served both hot and as an iced tea. Highly addictive; Please proceed with caution! No caffeine.